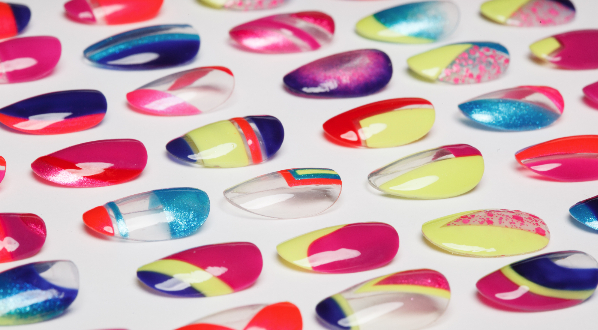 I'm so thrilled to be able to announce Sally Hansen's second annual I heart Nail Art contest! Each month Sally Hansen will post a new nail art challenge for your chance to win $500 and a trip to NYC to compete in the Grande Finale and a chance to win $2,000! Sounds great right? This month's theme is "liquid mani" - looks inspired by textures and colors that are metallic, chunky glitters, all things textures/liquid. Packaged very securely in this neat box, you have a large variety of full sized products to get creating with! I was impressed with all of it, and very much looking forward to trying out the studs that come with this kit. 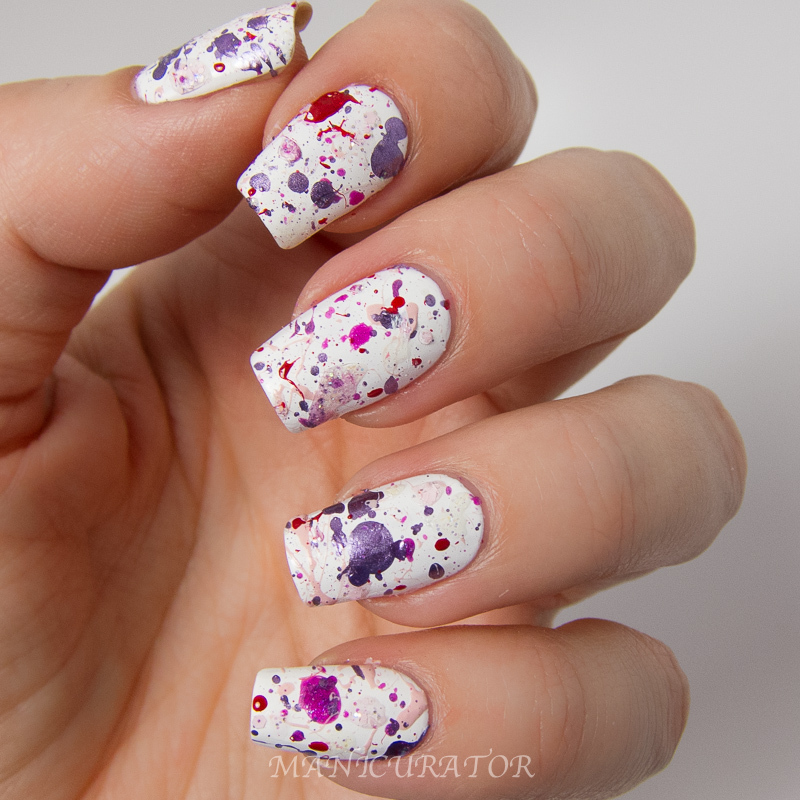 I used all 6 of the paints (white base - not included) to create a splatter mani. 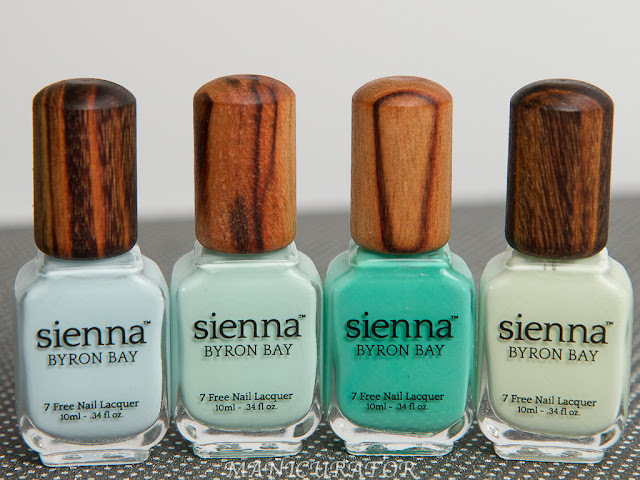 I brainstormed what could I create that fits the theme of liquid mani and utilizes textures. I chose it to represent paint/liquid splattered...with different textures because it just seemed to fit into the theme perfectly. Hope you decide to enter the contest!! 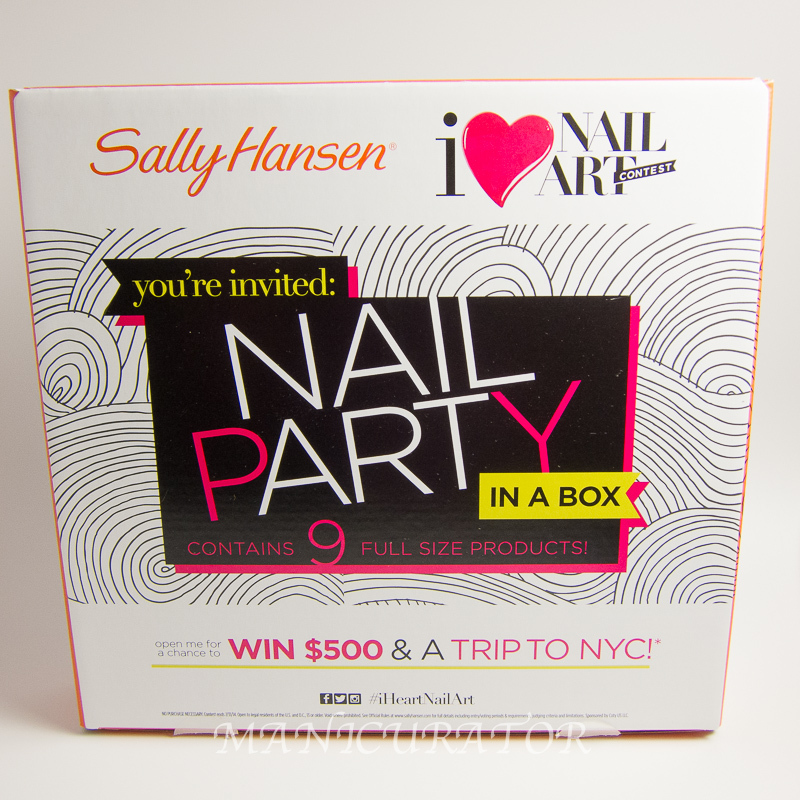 And hope you enter the giveaway for this nail art kit sponsored by Sally Hansen! What a fun kit! Wish I could enter the giveaway but I'm from Canada so good luck to everyone else who can. That is a Awesome Kit I sure would love to win it !!! Awsome splatter by the way!